The 'Do They Know It's Christmas?' hitmaker doesn't like how the majority of modern musicians use various contributors for their songs as it's as easy as "painting by numbers". He exclusively told BANG Showbiz: "I am not a fan of how modern music is manufactured. I am not a fan of 10 writers all in a room all throwing in a couple of words here and there and low and behold they have a song at the end of it. It's like painting by numbers." The 62-year-old star likes music to be "honest" and feels if people are using lyrics from various people it doesn't make for a great song. He added: "I like the fact that when you hear a song you are hearing one or two people's feelings and emotions. It's not manufactured it is an honest thing. So in that respect I am not a fan of how the music industry has gone." 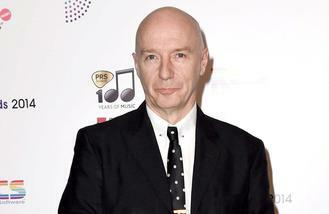 The former Ultravox star fears that the music industry is being lead by the same artists, who use the same songwriters. He explained: "There are certain genres of music all produced by the same people. All written by the same type of artists it is all very much like copycats, it is all very similar. So when you do hear the oddity you hear something that is fresh and different it is a real buzz. It might be me being old and cynical - but there you go." Midge is also featured on the forthcoming BBC Four Documentary series - The UKs Best Part Time Band TX in June on BBC 4.